Capricci means to pamper and spoil yourself, and that’s just what we do here at Healing Waters Day Spa & Capricci Gifts, it’s all about you! Our Day Spa focuses on our customer’s rejuvenation and relaxation, while our Gift Shop brings an eclectic variety of the unusual to choose from. All of our gifts here at Capricci Gifts are personally selected with great care by the owners of the shop and restaurant, Joe and Donna Giarratana. There is a wide variety of unique gifts, custom made jewelry, and health conscience products to choose from. You can find something for everyone, including yourself or that hard to buy for person on your list. 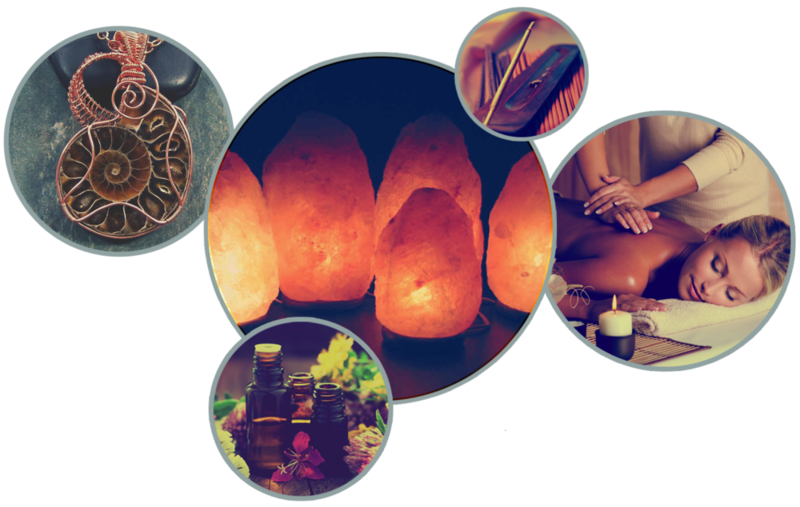 We have an incredible line of aromatherapy items available in essential oil products, candles, incense and defusing oils. They are all made with natural derivatives and botanical herbs. We also have collectible items and artwork such as beautiful fairies and glass items, plus Music of the Spheres chimes, a wide variety of Himalayan salt lamps, some unique clothing items, and accessories, just to name a few. Come check out our health and wellness products too, such as our locally grown honey, Himalayan salt wellness products, Silver Biotics, Osmosis waters and supplements, organic juices, specialty health conscience coffees and cocoa, plus so much more! Our physical store is surrounded by a beautiful garden in which you may choose to sit and enjoy the atmosphere or perhaps engage in a tea party, birthday party, baby shower, bridal shower, or even a small lovely wedding. All these are possibilities just for the asking. We pride ourselves in personal service and care, believing that you are truly special and deserve a little Capricci in your life today. Call us at (352) 796-9825 or come by our store and garden at 6230 Spring Lake Hwy, Brooksville, FL 34601.